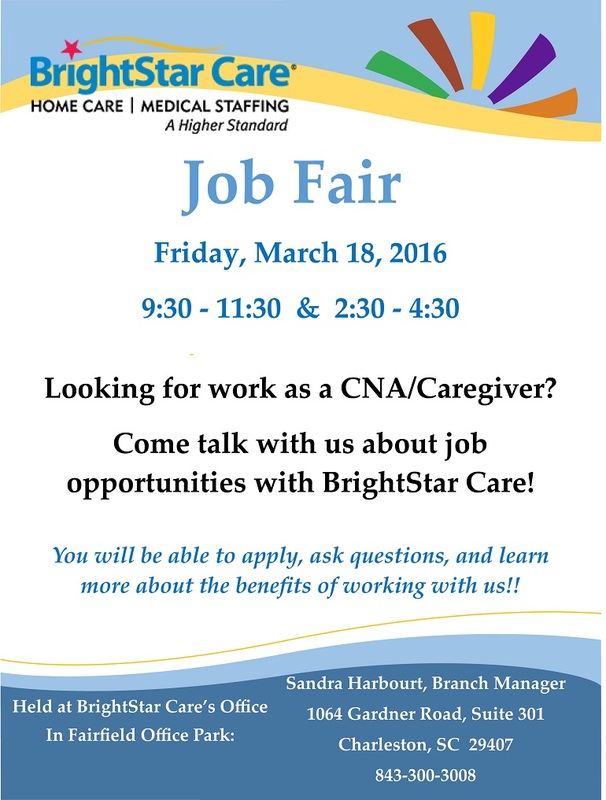 Charleston Job Fair - Hiring CNAs and Caregivers! Looking for work as a CNA/Caregiver ? Come talk with us about job opportunities!